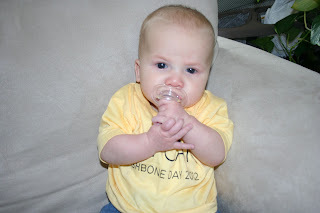 Colton wearing his Wishbone Day Shirt! 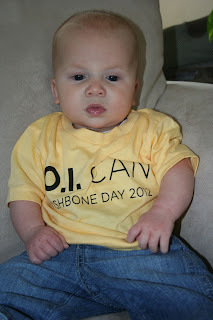 Every year on May 6th the Osteogenesis Imperfecta Foundation (OIF) recognizes and celebrates Wishbone Day. It is a day to raise awareness for OI around the world and help people learn and understand what it is. With awareness emergency doctors will learn how to handle a child with OI. With awareness they will be able to raise more money to do research on OI. With awareness we will be able to diagnosis more kids properly and what treatments to use! 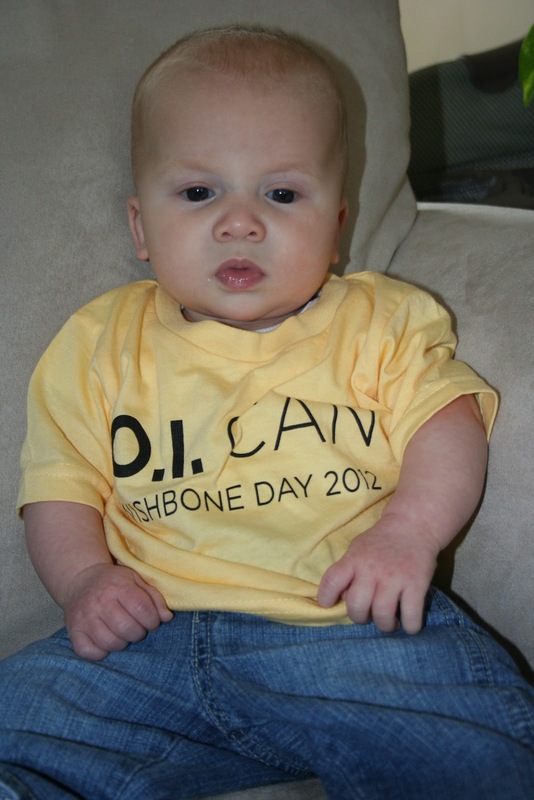 Most of you know what OI is because of our family but OI is still categorized as a very rare genetic disorder. Most doctors in different fields still do not know much about OI or how to care properly for a patient with OI when they come into the ER, need x-rays, or other specific care. When I have to meet with different doctors I still get looks of "what are you talking about?" or I get comments like "I have heard of OI but don't know anything else about it". Please if you do wear yellow, send me pictures via email or text messages so I can see your yellow shirts! Thanks for your support. OI is caused by an error called a mutation on a gene that affects the body’s production of the collagen found in bones, and other tissues. The types range in severity from a lethal form to a milder form with few visible symptoms. The specific medical problems a person will encounter will depend on the degree of severity. A person with mild OI may experience a few fractures while those with the severe forms may have hundreds in a lifetime. The number of Americans affected with OI is thought to be 25,000-50,000. The range is so wide because mild OI often goes undiagnosed. I love his shirt! So cute!! :) Hope you guys have a great Wishbone Day... We'll be celebrating with you!